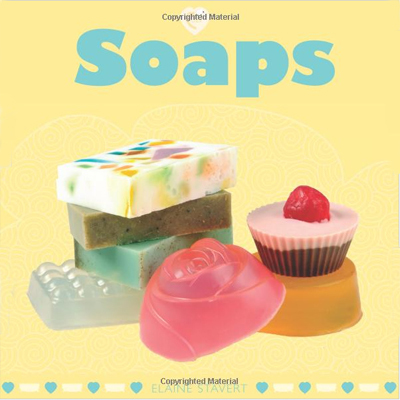 Create some lather in your life and discover the wonderful craft of soap-making. You will be delighted with the results - deliciously scented, textured and colourful soaps to truly pamper yourself with. Review: This book is about melt & pour only. It talks about basic techniques and ingredients. It shows you how to make curls, do layers and talks about essential oils & fragrances and how to use additives.. The recipes are mostly specialty items such as using luffa, swirls, chunks, cup cakes, pies and other fun ideas.